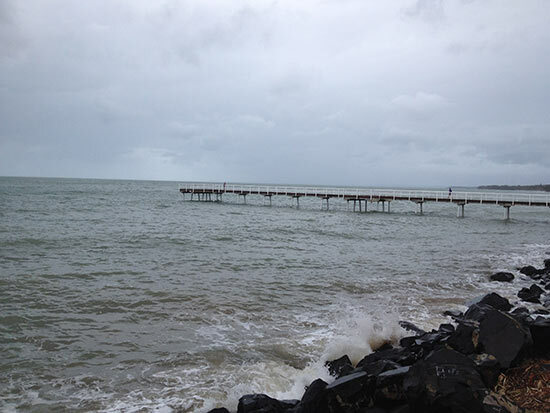 The morning high tides, for the last couple of days here in Hervey Bay, have reached levels that put them into the king tide category. With the wind behind them we’ve seen them reach even higher levels than usual. 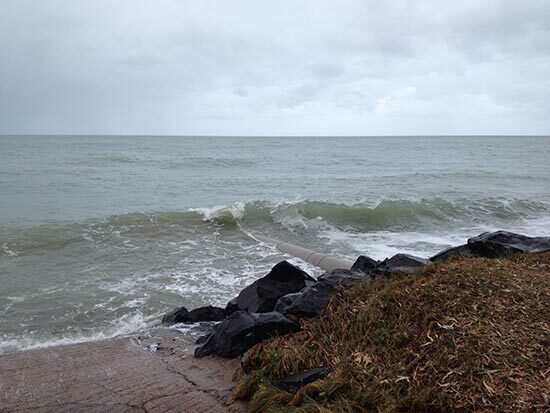 The open area adjacent to the Seafront Oval was inundated and there will be something akin to a lake there for several days to come. Down at Scarness the water reached the top of the rock wall behind the beach and at Shelly Beach some seawater managed to reach the roadway thanks to the access ramp at that location. 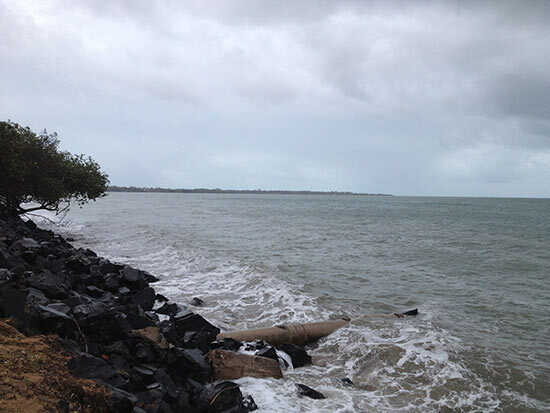 And of course down at Urangan bigger waves were coming over the seawall in several places. 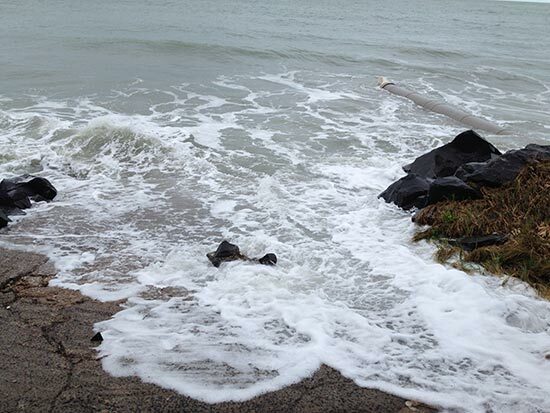 These photos were taken just after the tide had peaked.